We aren’t that far into summer vacation, but loads of fun has already happened. Summer vacation is the time where families have fun together. Now we are also in the middle of the month of June, and there is a special day that will be arriving soon. That’s right, Father’s day is closing in faster than you think it is. It’s the official time of the year for dad to be honored for everything he has done for the family. Now along with Father’s day comes the one thing that a lot enjoy and that’s gift giving. Every year you usually surprise dad with a little something special. Well, this year you can change things up a little bit in a wonderful way. It can be a day for both dad and their child too. All you need is a few product selections that can help you out. I have just what you need so check out all the information I have for you below. Fun Friends Choo Choo Train – is perfect for any toddler that likes to get their groove on. Daddy will love getting down on the floor with baby pushing and pulling this train with lights that flash to the beat of the music! 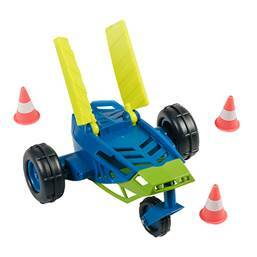 The vibrant characters will attract your child and keep them entertained while encouraging active fun. 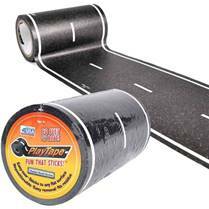 Classic Road Series – can instantly create roads and rails for toy vehicle play anytime, anywhere! Just unroll, stick, and drive! Ride Safety Vest – is a portable, wearable five-point harness safely secures kids as young as three-years-old, even when there are three in a row. General Purpose Cloth – the most versatile of all e-cloths, removing thick dirt, grease, oil, grime and over 99% of bacteria from all hard surfaces, using just water. Kids are inherently curious about cleaning solutions, in fact over 90% of all poisonings happen at home. 30% of childhood asthma is caused by chemical exposure, including cleaning chemicals. These are just a few options for you to work with this year, so let’s make it all count. Go ahead and check out all the information I have for you above.